I have a hard time coming up with snack ideas that aren’t chips or just plain fruit. I feel like my kids get bored with both–and that’s why they start asking for things like ice cream or candy. I mean, really, how many times a week can you eat an apple in the afternoon before you’re ready for a big scoop of sugar?! And then it hit me. What has big flavor, but isn’t really that sweet? Ganache. 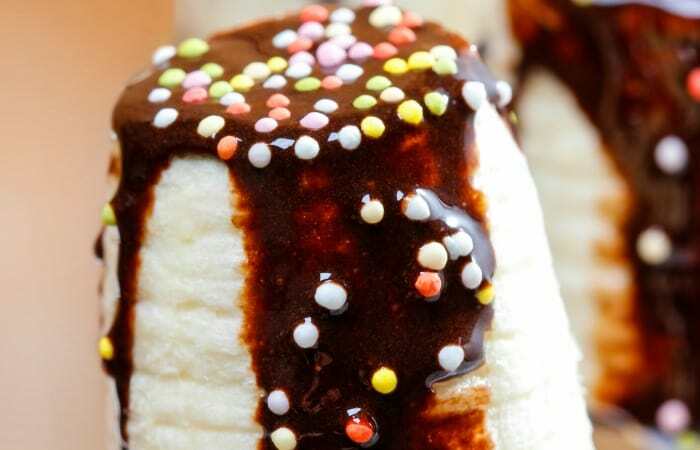 And so, the Banana Pops with Vegan Ganache were born. Easy, quick and decidedly yummy, these little after school snacks were so popular with my kiddos, I almost didn’t get a bite of my own. Start with the ganache by opening the can of coconut milk and removing the heavy cream from the top. Get as little of the coconut water as possible–save it for drinkin’ or washing your hair with or whatever. Place the coconut cream into a small cooking pot on medium heat. When the coconut cream is simmering, add the chocolate chips. Stir until all of the chocolate chips are melted and everything is smooth. Turn the heat off and immediately open and slice your bananas. 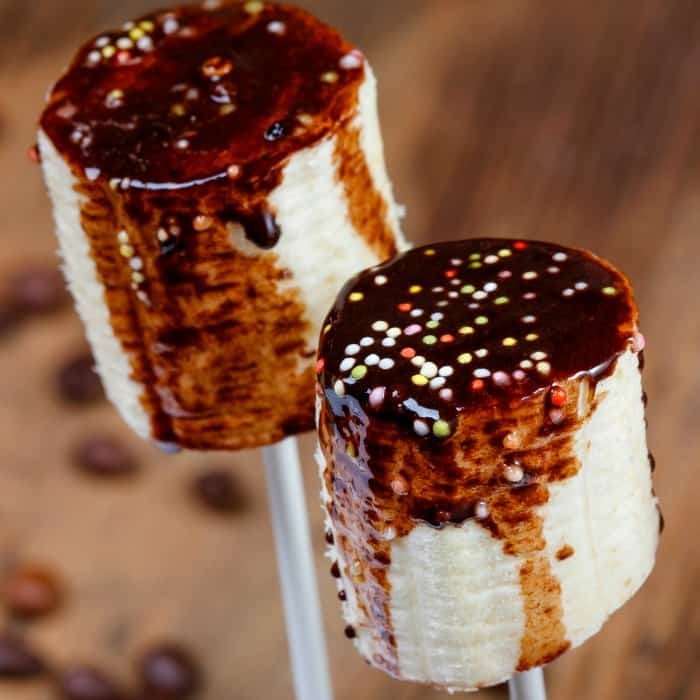 Stick a cake pop stick in each piece of banana and dip a teeny, tiny portion of the top of each banana into the ganache. Sprinkle the top with sprinkles. As many as you want–this is your banana pop. Or not, just eat ’em. It’s awesome. 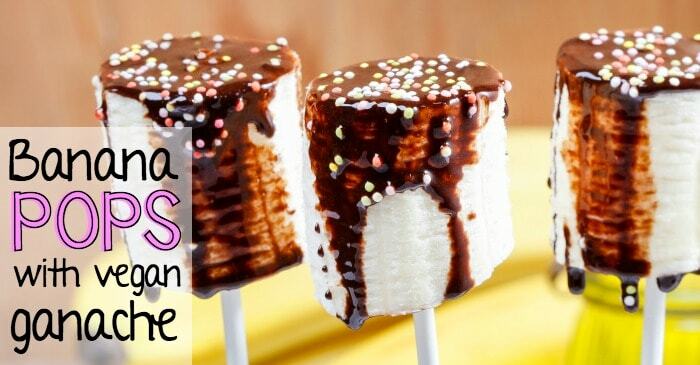 Banana Pops with Vegan Ganache were born. 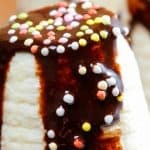 Easy, quick and decidedly yummy, these little after school snacks were so popular with my kiddos, I almost didn't get a bite of my own.